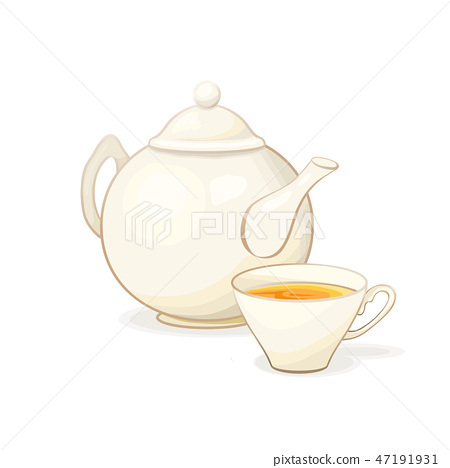 Porcelain or Ceramic Teapot Service. Black or Green Tea in Tea Cup. Isolated and Detailed Kitchen Dishes Vector Illustration. Kitchenware or Utensil Banner Design, Restaurant Menu, English Breakfast.